Beautiful tulips Ivan. Happy Easter to you and Tina. Thanks and happy, I wish you a peaceful Easter celebration! 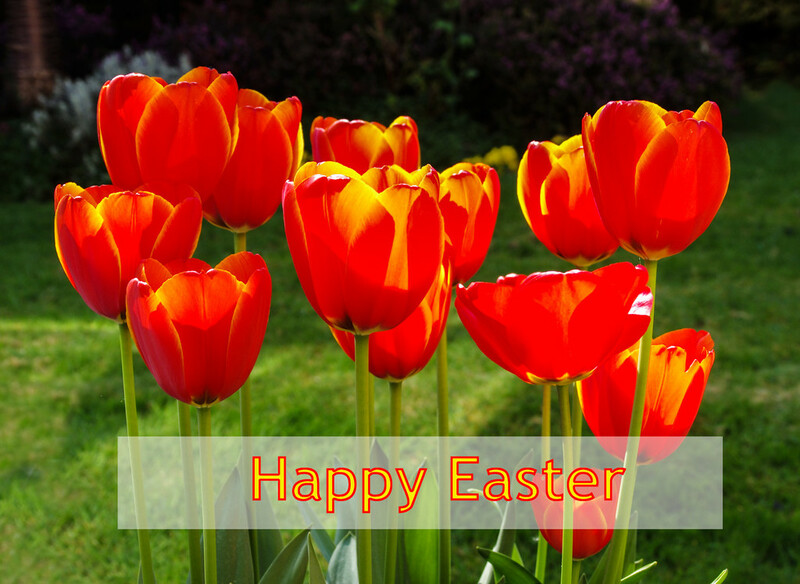 Happy Easter to you and Tina - -love your tulips ! Beautiful tulips. Happy Easter to you both. Happy Easter to you, too, Ivan. Don't eat too many Easter eggs, haha. Beautiful way to present your Easter greetings. Great shot. Splendid Easter pic! I hope you had a great Easter too! Standing tall and proud. Good shot. Vibrant orange. Hope you had a good time!